The Poem Farm: Reverso, Poetry Peek, Tarantula - Oh My! Reverso, Poetry Peek, Tarantula - Oh My! This is a reverso, Poem #22 in my series of poems about poems. It is also #213 in my year-long quest to write a poem each day! Several months ago, I walked into our local bookstore, B is for Books, and owner Jane Bell handed me Marilyn Singer's book MIRROR MIRROR. "Here," she said. "I got a review copy of this, and I want to give it to you. You'll love it." She was right. I loved it, and I was intrigued. A reverso, a form invented by Marilyn Singer, may be read from the top down or the bottom up. It's a tricky form, playful and mysterious, and I never wanted to try it. "Too hard." Not long after, however, Tricia of The Miss Rumphius Effect offered the reverso form up as a Monday Poetry Stretch in April. I didn't play. 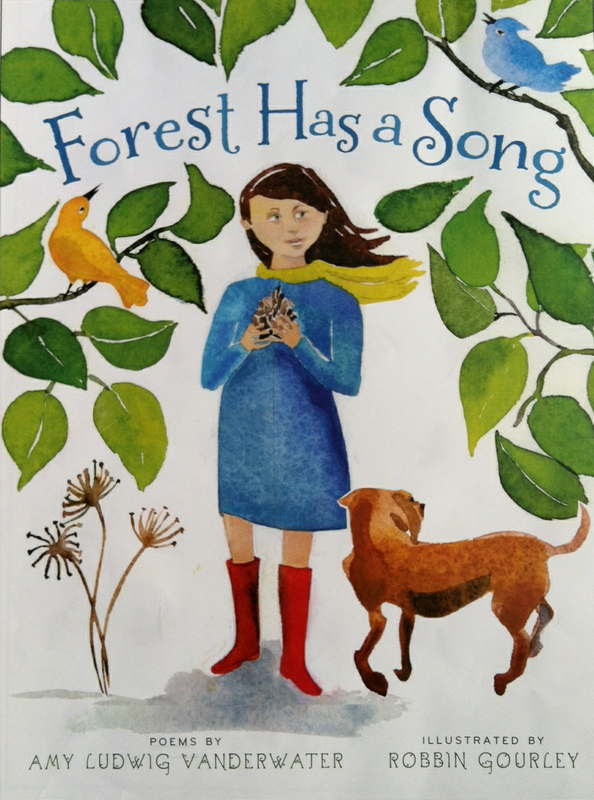 Two weeks ago, my daughter Georgia came to me with MIRROR MIRROR, proclaiming, "I LOVE this book! It's amazing!" Then, this past Monday, an incredibly smart teacher came up to me holding the Marilyn's book. "Have you seen this before?" she asked. So here we are. Finally I tried. It was not easy, but it was fun. I'll try it again. Poem #22 in my series of poems about poems...upside down! 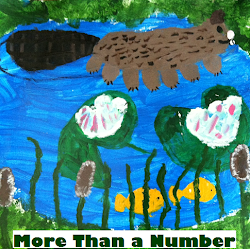 Today I am thrilled to offer you our seventh Classroom Poetry Peek into Mrs. Sallye Norris's first grade classroom at Puster Elementary School in Fairview, Texas. Sallye is an old friend of mine. We were best-friends-ever as American Rotary exchange students living in Denmark from 1987-1988, and today, we are still great pals. I truly admire her intellectual curiosity and bright spirit. 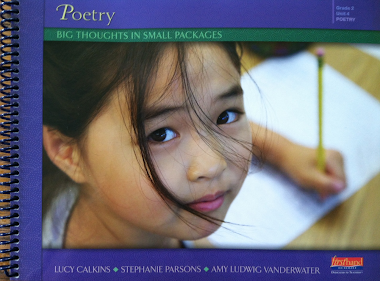 Sallye's students celebrate Poetry Friday...listen in. to give me a bath. to pat me on my back. Please don't take me home with you. I might die and I'll never see you. Each Friday, the first graders at Puster Elementary visit each first grade teacher in a round-robin type of rotation. Each teacher teaches a lesson in a subject that is of great interest to her. I love poetry and language, so my lessons revolve around these things. My goal for the learners is to help them view themselves as authors and poets and to foster a love of language. Our first several weeks of poetry rotation were spent discovering poetry. We spent time talking about words that sounded good to our ears: words that were interesting or funny or felt good on our tongues. We read poems aloud, listening to see if the poem rhymed or not. We read the poems Amy posted on her site. We sang poems with gentle rhythms. We drew pictures of what the poem meant to us in our hearts. Together, we wrote poems about the huge tarantula I found in my house and kept as a pet! Every week, each child was given a copy of the poem we read to put in a poetry notebook, take home, and cherish time and again. After several weeks of exposure to the world of poetry, we began writing poetry of our own, using Amy's "Pumpkin" poem as a catalyst. The learners picked objects and listed, in speech bubbles, what each object might think or say. Then I encouraged them to turn those thoughts into poems. You could have hard a pin drop (except for all of the verbal sounding out!) as they began imagining their objects talking. They wrote and shared with each other, and their excitement grew. One little boy turned to his table mates and exclaimed, "We're poets. Did you know that?" That afternoon, a mom e-mailed me asking, "What did y'all do today? My child has been writing poems and taping them all over the house." We're nine weeks into school, but the kids are already viewing themselves as poets! I can't wait to see what they're doing by the end of first grade!" Thank you many times over to Sallye and her students for sharing a peek into their own Poetry Friday with us today. Teachers and homeschooling parents: I invite you to share on a future Poetry Friday. Please just drop me a note if you are interested. Tomorrow is October 30, the last day of SPARK 10. I plan to post my response to Amy Souza's beautiful photograph, "Dahlia Soft Focus", in this space and look forward to seeing her response to my poem, "Everynight Everywhere". In addition to being Poetry Friday, today is also National Cat Day. You can see our family's four cats - Pickles, Firepaw, Sarah, and Mini - over at Jama Rattigan's wonderful cat celebration today. Check out Jama's blog to see many beautiful cat pictures and stories of authors, illustrators, and their beloved kitties - just slink on over to Jama Rattigan's Alphabet Soup! Jama always sets a delightful table, and today is purrfect. 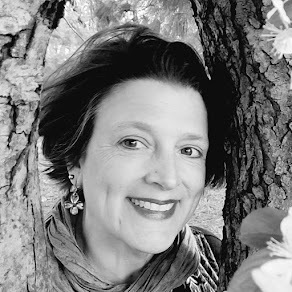 Toby Speed, my wise and witty roommate from Kidlit Con, is hosting today's Poetry Friday at her blog, The Writer's Armchair. As a person who spent last weekend with Toby, I can promise that her company is thoughtful and full of whimsy and charm. Enjoy all of your poetry travels today...and Happy Halloween! Tomorrow I'll be teaching a class at the NFRC Fall Conference all about finding writing ideas through poetry! Amy, I read your reverso first thing this morning, and was so impressed. I have to try one of these, oh gosh. And - so much to say about your post. I also enjoyed the kids' poems from your friend Sallye's class (and the pic of her). This is also the third review I've seen of Mirror, Mirror - another book to put on my book-order list. Also, I had missed the fact that you were involved in SPARK 10. (I just learned about it through Heidi Mordhorst's poem and her involvement in the project.) I will go back through your posts to see what other poems you may have written as part of this project. Oh, and enjoy the conference tomorrow! *thunderous applause for Amy's reverso* ! I, too, MUST get this book. Have heard so many fab things about it. Thanks for sharing the kids' poems, too. I LOVE child handwriting :). MIRROR MIRROR is an amazing poetry book. I love both the poems and the illustrations! Your reverso is great. I haven't tried writing one yet. Maybe some day. Tabatha, Toby, Jama, and Elaine, Thank you for your words on Sallye's students' work. 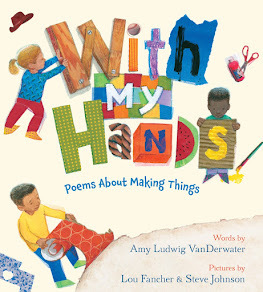 I was tickled pink to learn about all she has done with them and to read their joyful poems. (We're looking at future Poetry Friday people!) As for the reverso...I have an ever-greater respect for Marilyn Singer! A.
Hi, this is Delaney's mom. Sallye Norris is an amazing teacher, along with her other 3 first grade team members. My daughter runs into my car at pickup on Fridays, pulls out her poetry notebook and immediately starts reading and reciting the poetry she learned that day. In this tiny suburban town north of Dallas, one teacher is able to spark the creativity and imagination, encouraging them to pick up their pencils and write such wonderful things! We are truly grateful for talented and dedicated teachers like Sallye. Kim, Thank you for allowing Delaney to share her poem with us today. I agree with every word you say about Sallye...she was an amazing seventeen year old too, and I feel blessed to still have her as my friend. Delaney's poem is wonderful, full of the fun of a crazy new trend! (Now when I see my own daughters' silly bands...I wonder what they are thinking.) A. "walking each word"----Oh I love that!! Again you blow me away. And thanks to you a copy of Mirror Mirror is on its way to our door: something fun for my brood of young writers next week. Thanks for the suggestion! your reverso is truly amazing - I loved the imagery, the way it played on itself, my anticipation, knowing that it would somehow work reversed. Wonderful imagery. And I love the student work you've shared. It was a true pleasure meeting you and the other PF panel friends last weekend. A true pleasure. Please note how the meaning shifts when you read that in reverse. I mean, it's subtle and all, but I think it works. Great stuff, Amy. Reversos are HARD, but you make it look easy. If this post were wearing a coat, it would be a stunning tapestry coat! Going back now to catch up on your week's poems! Mary Ann, Thank you! You should try this! It's kind of fun, once you let go of the scared-part, that is. I love that feeling of anticipation too, wondering, "What is this going to be like UPSIDE DOWN?" Honestly, it was hard to get perspective on this one. It was such a treat to meet last weekend. I can't wait for the next time...it's as if a whole new world cracked open. A.
Gregory, You are hilarious, and I'm so glad you stopped by. Thank you for liking my attempt! See you in tweetland. A.
Mary Lee, A big hug to you, Panel Master. My new little notebook is a perfectpocketbook...thank you! Hmmmm, dressing the posts up in clothing is not a bad thought. A.